Have you ever sat down to practice your instrument only to mindlessly “noodle” rather than actually learn something? I’m sure you have. For many of us, our practice time is precious. We lead busy lives, full of work, family, friends and obligations. Sometimes it’s hard to find that time to get into the practice room and shed! When we finally do get that time to hone our craft, the last thing we want to do is wander aimlessly, blowing regurgitated licks and lines over random tunes. I always tell my students that one of the most important things I can do for them is to teach them how to practice. I can teach them new concepts, theory and little tricks all day, but if they don’t know how to properly practice, none of it will work! The problem is many of us truly want to improve but we don’t know how to go about doing it. 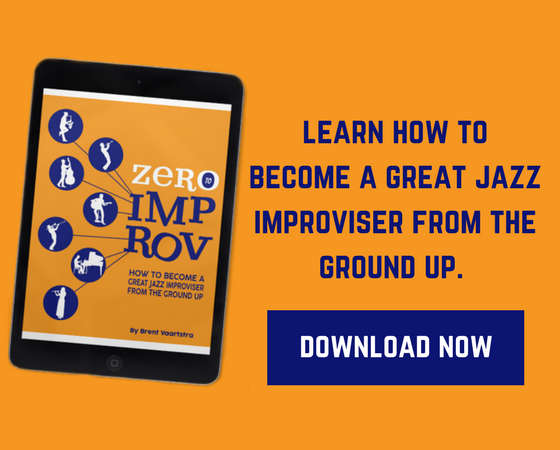 A common misconception is that if we just learn more stuff we’ll finally get to the next level. 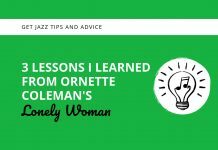 We live in societies that increasingly bid us to get easy answers and quick results, but in music (and particularly jazz) we must do the opposite. The key is to practice with purpose. 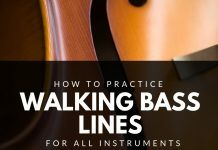 One of the biggest mistakes musicians make is walking into their practice sessions completely blind. They don’t know what exactly they are going to practice, they just know that they need to play their instrument. From the beginning they are set up for failure! 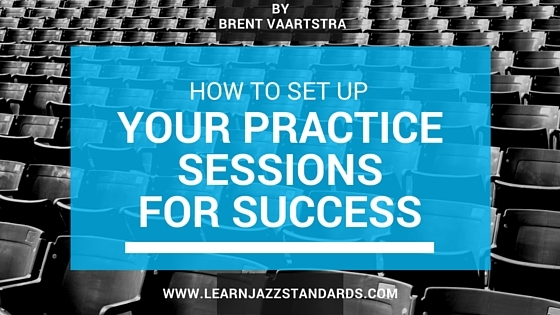 So how do we set up our practice sessions for success? From my personal experience and of many who have come before me, its really quite simple. 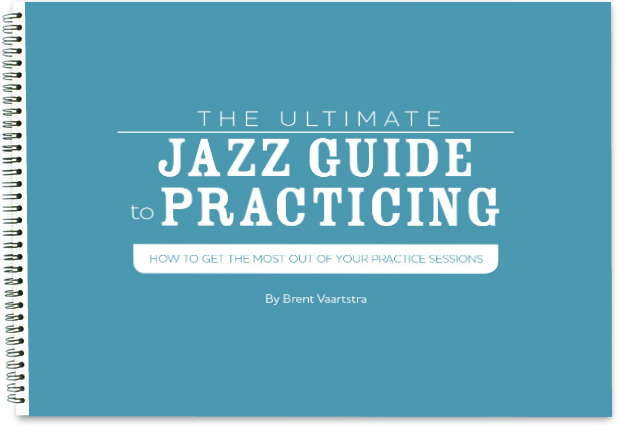 But before I go any further, know that I talk about these concepts in much further detail as well as many other practicing tips in our free e-book “A Jazz Guide To Practicing” which you can sign up to get here. This seems simple enough, but many musicians aren’t doing it. 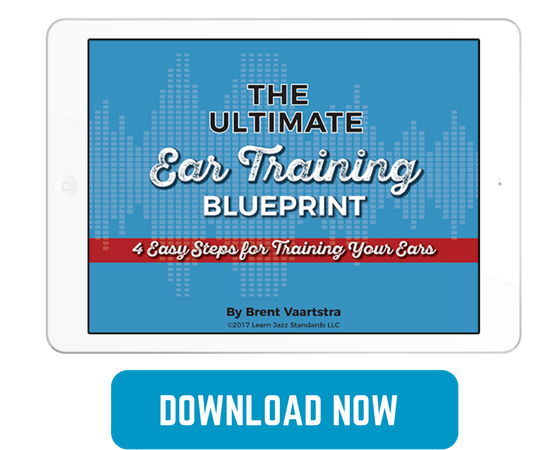 The fact of the matter is, whether or not you are setting musical goals for yourself will define the success or failure of you practice sessions. When I was in college I remember sitting in a practice room one night and writing down exactly what I wanted to musically accomplish. Little did I know, that was probably one of the most important things I could have done for my music at that time. First I started really broad and just listed what kind of a player I wanted to become. I want to be a very melodic player. I want to be able to play any chart someone puts in front of me. I want to know tons of tunes so I’m never stumped on the bandstand. I don’t want to let technical limitations stop me from playing what I hear in my head. When you start setting goals for yourself, start by dreaming. Dream big! I mean really, what kind of musician do you want to become? There is no ridiculous answer. Allow yourself to unashamedly imagine who you could be and what kind of level of playing you want to achieve. Maybe it’s not even quite as modest as the goals I listed. Maybe its: I want to go on tour and play my own music. That’s great! At least you know what you want and you have established it for yourself. I call these goals overarching goals. They sum up what you want to accomplish without actually setting out a plan for how to accomplish them. These goals establish what you want out of being a musician. After you’ve established these overarching goals, it’s time to make some long term goals. I want to transcribe 10 solo’s this year. I want to feel comfortable site reading most jazz lead sheets by the end of the year. I want to learn 50 new tunes this year. I want to feel comfortable playing at fast tempos this year. Notice that these long term goals break down the overarching goals into more specific, accomplish-able tasks. Now these goals may look a lot different for you. It all depends on what your overarching goals are, how much time you have to practice, and what pace you learn at. Regardless of what your long term goals could be, the idea is to start making a long term plan for improvement. I tend to make my long term goals yearly goals, but you could also break those down into shorter, long periods of time. Once you’ve established your long term goals you need to create short term goals. Spend 15-30 min. each day site reading jazz standard charts. Learn how to play All The Things You Are this week. Work on major scales at 200 bpm. Your overarching goals are informed by your musical aspirations, your long term goals are informed by your overarching goals, and your short term goals are informed by your long term goals. Studies have been done and the statistics are out: those who not only have goals but actually write them down are far more likely to succeed than those that don’t. I can’t stress this enough. Write down your goals where you can see them on a day to day basis. Don’t dismiss this just because you think its cheesy. By seeing them on a regular basis you will constantly be reminded of them and what you had set out to do. Set goals, write them down, and start reaping the benefits in the practice room. Next articleWho Hijacked The Jazz Economy?